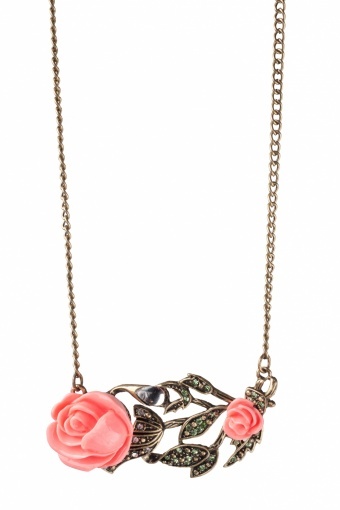 Lovely Pink Rosie necklace. 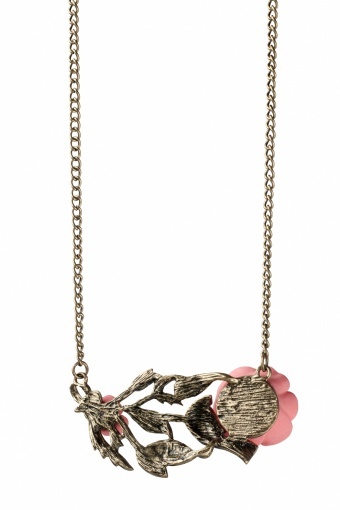 Beautiful long necklace with pendant in bronze toned metal shaped as a rozebush branche with leaves. 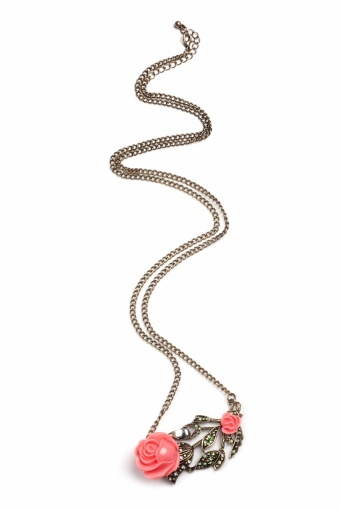 The leaves are decorated with clear and pale green rhinestones and one waterdrop. Two shiny pink acrylic roses on top.